Happy Monday! Hope you all had a wonderful weekend and had some quality time to spend with your mothers! It's been a little quiet on the blog this week with me being in China and all, but I'm glad to be back in Hong Kong. I don't know what it is, but China always feels so different everytime I'm there. It just doesn't feel as safe, and I always have this sense that something bad could happen at anytime.. but I do enjoy the crazy cheap food and massages! I got a couple massages while I was there.. 2 hours of massage time costs around $11. And a meal with a drink costs somewhere around $3. I do love me some good deals! Anyway, here's another shade from the OPI NYC Ballet collection for you guys today! I've had my fair share of tutu wearing, so the name of this polish is special for me. Tutu's are actually very finicky, and can be quite difficult to place perfectly. Once the tutu is in the right place, you really don't want to touch it or move it in any way, or it really will look awkward when you're up on stage. White is probably the colour that you imagine when you hear the word tutu, so it's only right that this particular shade is a white jelly. I had thought the white of the polish wouldn't quite show through like the other polishes I've swatched from the collection so far, but this one surprisingly brightens up the nails. It isn't chalky like most whites due to the jelly formula, and makes your nails look very clean and beautiful. Application was a dream, and at three coats the polish levels itself out and the colour reminds me of soft, fluffy clouds. The colour wears very well for up to five days, especially when paired with Pirouette My Whistle! A while ago, I took the plunge and bought my second pair of coloured denim. 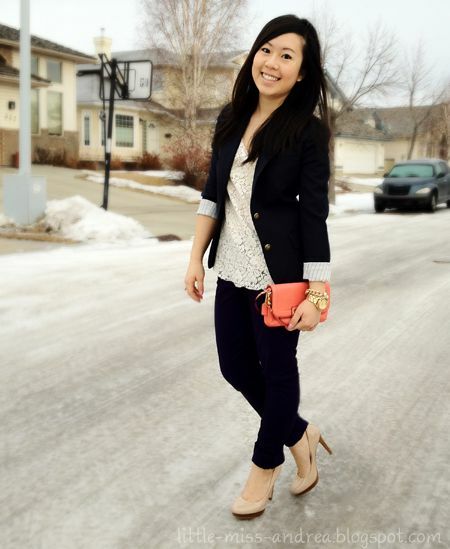 I thought I was being daring and all, going for a purple pair of skinnies. That is, until I got the chance to take these pictures. So they look purple under normal lighting, but outside they look like they're deep blue, and in the darkness they probably look like they could be black. Big shopping fail, but hey, they're super comfy. 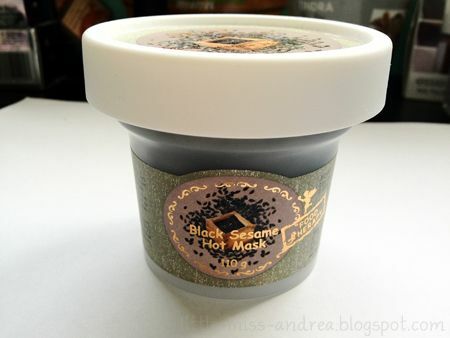 I want to share with you guys one of my favourite face masks of all time! Skin Food is a Korean company that specializes in making tons of skincare products revolved around food items. 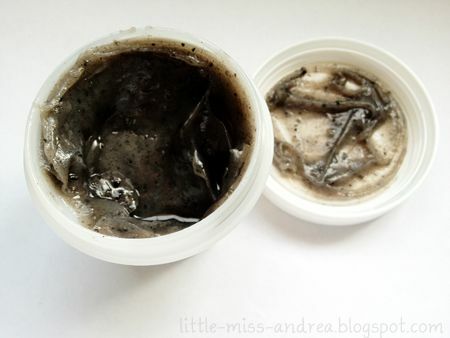 The black sesame masks is one of my favourites because it does so many things for me: exfoliates dead skin, brightens the complexion, and gets the circulation flowing in my face. Any of you guys actually like eating black sesame? My mother LOVES having the black sesame dessert soup - it's essentially ground up black sesame suspended in a sweet soup. Black sesame has many health benefits, such as being a great source of calcium & vit. B1, but Asians love eating black sesame because it's a natural way to get your grey hairs back to black. Crazy, huh? I myself have never been a fan of black sesame, but I'll take a couple sips of the dessert soup from time to time if I must. 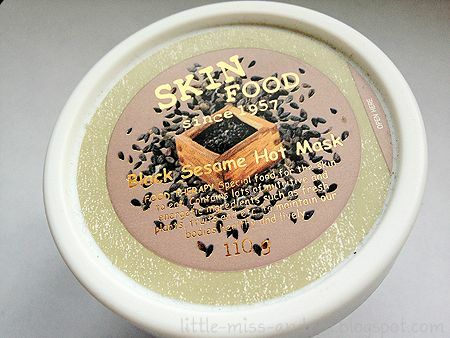 This black sesame mask essentially reminds me of the dessert soup, except in a highly concentrated form. The packaging is made of a thick, durable plastic, and the mask is kept clean with a secondary removable lid. The packaging keeps the product clean, and prevents it from drying out so you're able to use it for a long time to come. 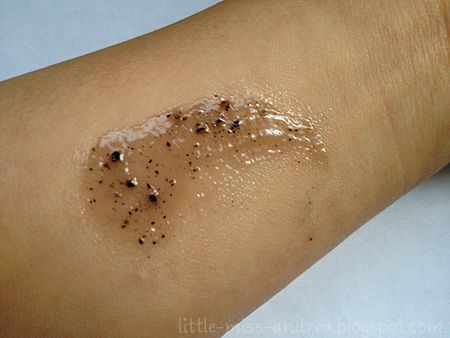 After giving yourself a mini spa experience, allow it to sit for 5-10 minutes before washing it off, and utilizing the sugar and sesame pieces to exfoliate your skin! This mask is such a nice all in one product! But here comes the bad: I can imagine some people being turned off by the smell. Unlike the dessert soup, this does not smell as sweet. 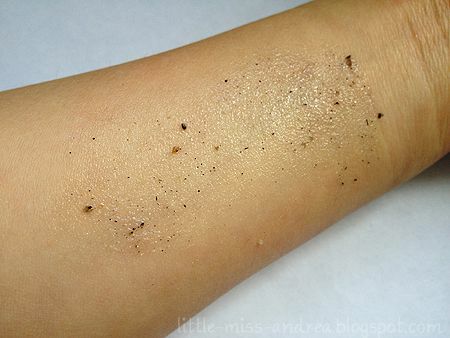 It comes to me as a mix of sesame, peanut butter, and dirt.. not always the most appetizing, but the smell quickly dissipates after application. Although thick and aesthetically unappealing, this mask gives me glowing bright skin after use! Not to mention my skin is baby soft because it acts as an exfoliant as well. This mask gets a thumbs up from me, and I use it about once a week :) The product can be purchased through SaSa, YesStyle, and eBay (but beware of fakes! ).